A different UK flora or fauna species every week! Follow us on Twitter at @SpeciesofUK or browse this blog to catch up on all the species we've covered so far. 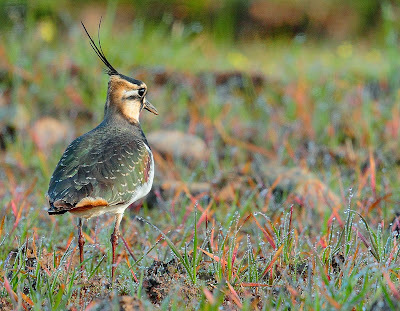 The Lapwing was @SpeciesofUK from 26th May to 1st June, 2013. 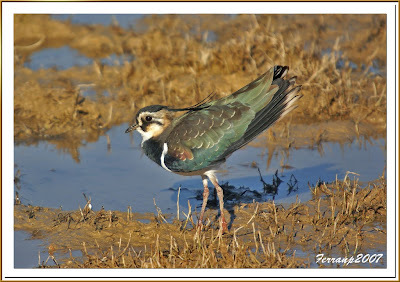 The lapwing is from the Charadriidae family (plovers/dotterel/lapwings), which contains around 65 species. 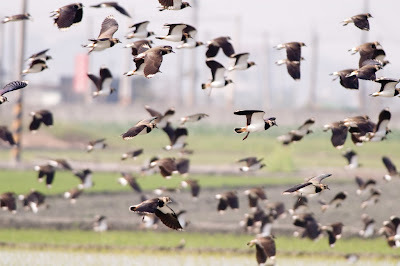 A lapwing is kind of a large plover. It is a very familiar bird, often seen in farmland across the UK. In fact, the lapwing is the UK's commonest breeding wader. Aside from in the UK, the lapwing is found across Europe, Asia and North Africa. It's quite a widespread bird. Across the whole of Europe there are somewhere between 1.1 and 1.7 million breeding pairs of lapwing. Globally there are as many as five million. Lapwings are native to the UK. In the winter, even more of them come to visit us from abroad. The lapwing is very much a native UK bird. There is fossil evidence of its presence here from during the last Ice Age. 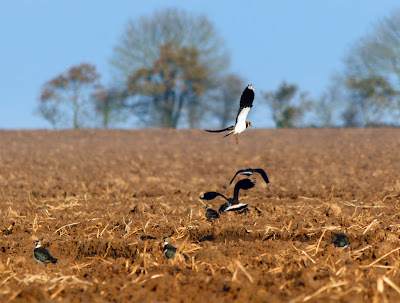 In the breeding season the lapwing prefers uplands with cereals, root crops or pasture. It's also found on wetlands. 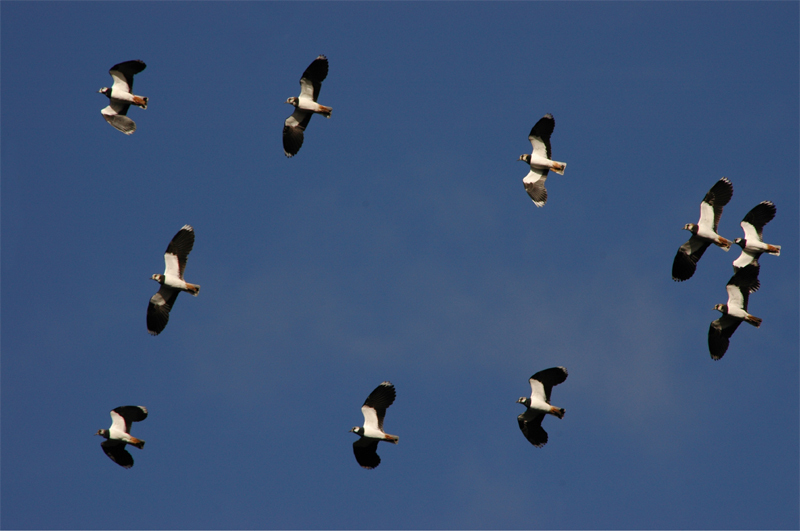 Most lapwings migrate fully. The UK (along with parts of France and the Mediterranean) is unusual in that most of our breeding lapwings don't migrate. In the autumn, large numbers arrive here from northern Europe for the winter, swelling the population from 140k breeding pairs to 650k. They flock on lowland ploughed fields or pasture, joining our native breeding lapwings who head down from the uplands. The highest winter concentrations of lapwing are in the Somerset Levels, Humber and Ribble estuaries, Breydon Water/Berney Marshes, the Wash, and Morecambe Bay. Sadly though, the lapwing has sufffered significant declines recently (UK numbers have halved since the 1970s) and it is now an RSPB Red List species. The reasons for the decline include changing farming practices and wetland drainage. 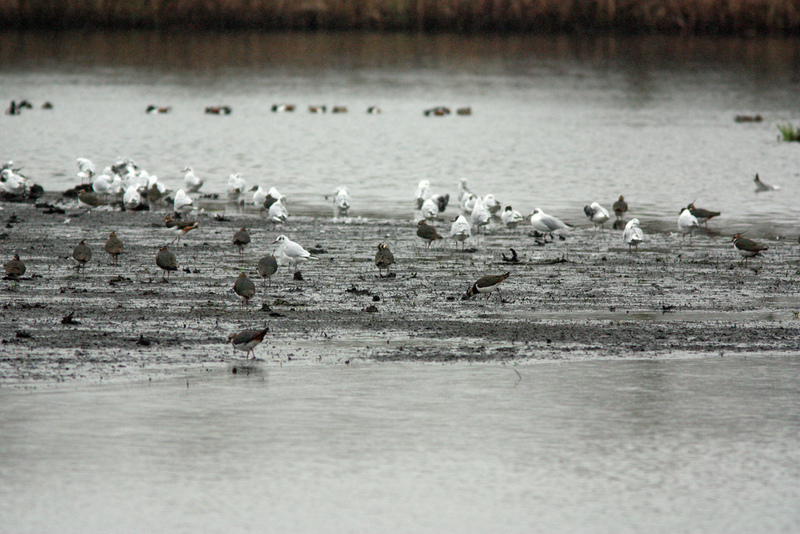 The Netherlands is the lapwing’s favourite place. The lapwing might be a common breeding bird in the UK, but if any country can claim this bird as its own, it’s not us, it’s the Netherlands! - lapwings love the rich mixture of grassland and wetland over there. The UK boasts around 140k breeding pairs of the lapwing. The Netherlands, a much smaller country, has somewhere between 200-300k breeding pairs. The lapwing is a bird of many names. The name 'lapwing' comes from Old English 'hleapewince,' from hleapan to leap and wincian to jerk, in reference to its distinctive flight pattern. 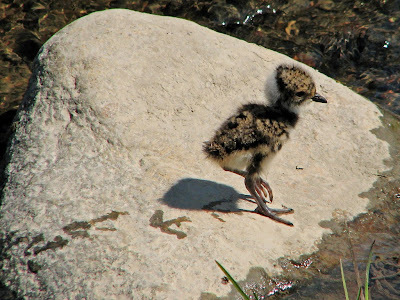 It is properly called the 'Northern Lapwing,' to distinguish it from others lapwing species around the world. The Latin name of the lapwing, Vanellus vanellus, is from 'vannus' a winnowing fan (in reference to its floppy flight). 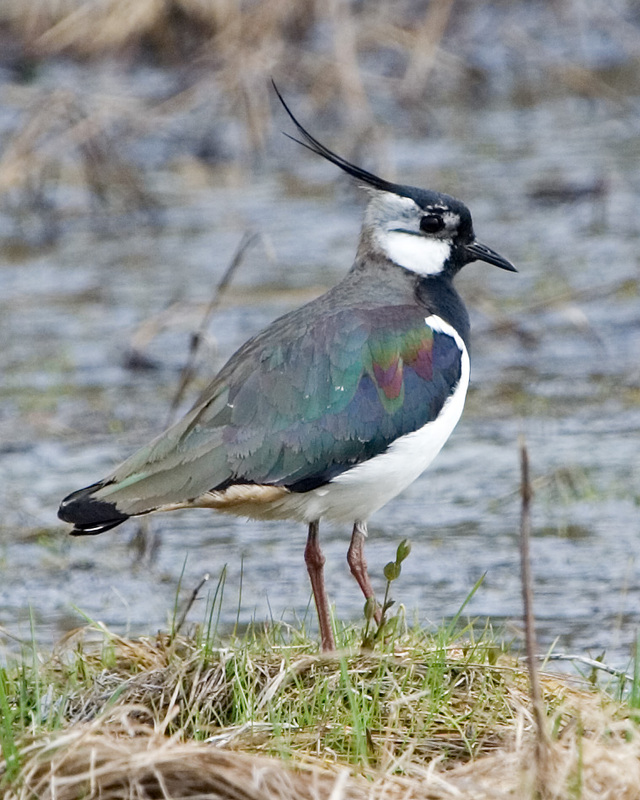 Other names for the lapwing are Peewit, Green Plover, Teuchit, Hornpie, Flopwing, Curracag (Gaelic), and Cornchwiglen (Welsh). 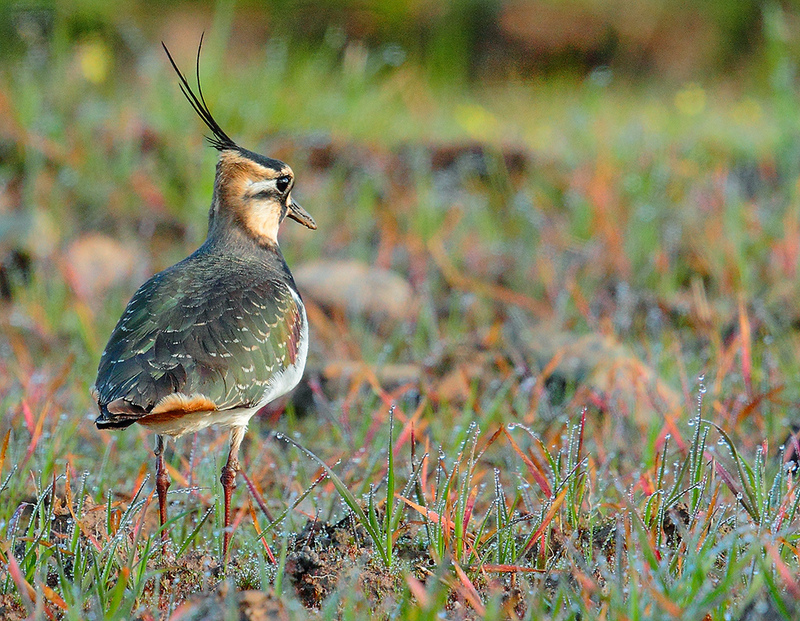 The name 'peewit' is the most common alternative to 'lapwing' in the UK. It refers to the sound of its display call. The name 'teuchit' for the lapwing isn't much used now. 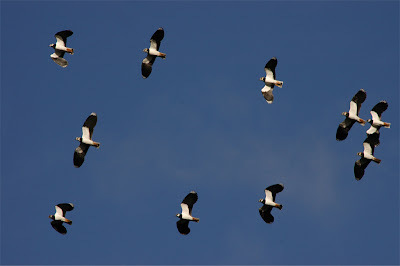 The 'teuchit's storm' means wintry weather in March when lapwings would arrive to nest. 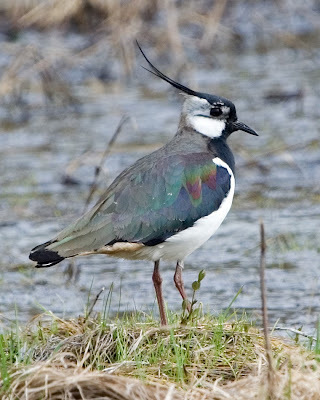 Chaucer once described the lapwing as the 'false lapwynge, ful of treacherye.' The lapwing has been associated with deceit ever since. A group of lapwings is still known as a 'deceit' and 'to hunt the teuchit' used to mean go on a wild goose chase, referring to the ability of the lapwing to distract predators away from its nest. Look closely, and you'll see the lapwing is one of the most spectacular and exotic birds we have. The lapwing has a long black crest, a glossy green, blue and purple back, orange under the tail, and black and white on the front and head. You won’t find many birds as colourful as this. 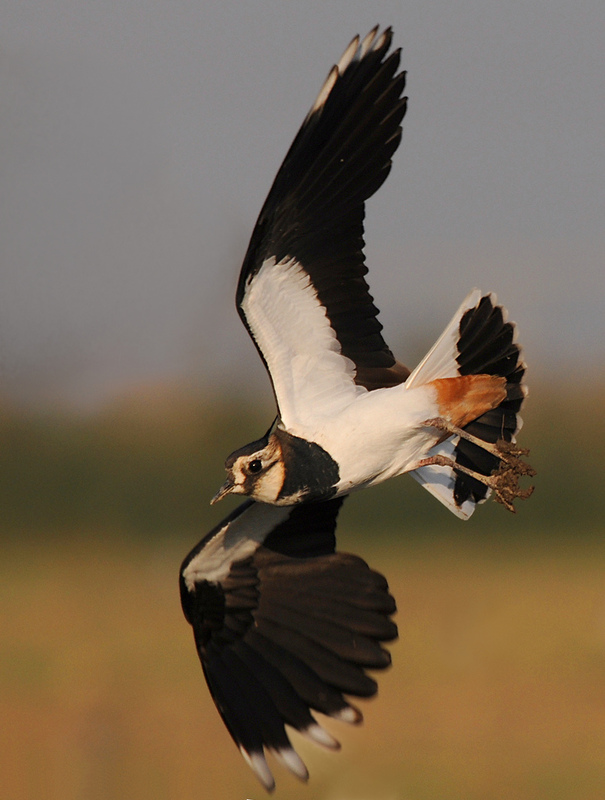 The lapwing's black and white appearance and black rounded "paddle-shape" wings make it easy to see even in flight. The male and female lapwing look very similar. The male has a longer crest in the summer. In winter, both develop a buff-coloured border to the feathers of their upperparts. The lapwing’s typical call is a shrill and very recognisable “pee-wit.” The male in breeding season extends this to a wheezy “pee-wit, wit wit, eeze wit." They have a love/hate relationship with gulls. The lapwing eats worms and insects (beetles, ants, crickets...) from the ground. They also sometimes eat spiders, snails, frogs, small fish and plant material. 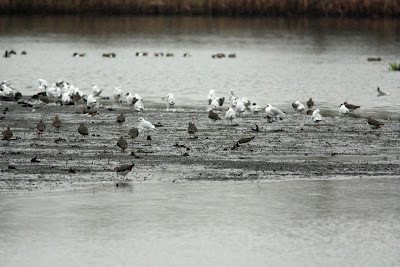 You’ll often see lapwings in mixed flocks with black-headed gulls. The gulls are tolerated because they provide some protection against predators but they’re really there to rob the lapwing of its food! As a result, the lapwing feeds mainly at night, to avoid food-stealing from the gulls. Under a full moon, they will actually feast all night and roost during the day! Male lapwings put on a fantastic show to impress their prospective partners. 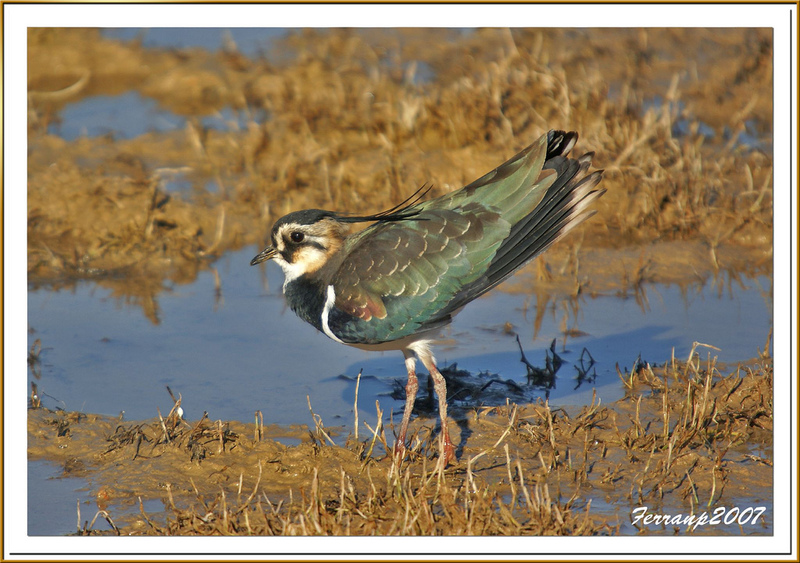 Lapwing courtship begins during February. Males perform very distinctive display flights, climbing steeply upwards before tumbling down very close to the ground. 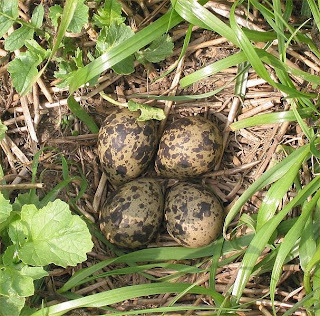 The lapwing nest is a shallow scrape in the ground. There are 3 or 4 eggs. Incubation lasts between 26 and 28 days. There’s only one brood per year. Lapwing chicks can walk early and they fledge after 35 to 40 days. If the nest is under threat, chicks lay close to the ground while the adults mob predators and force/lead them away from the nest. 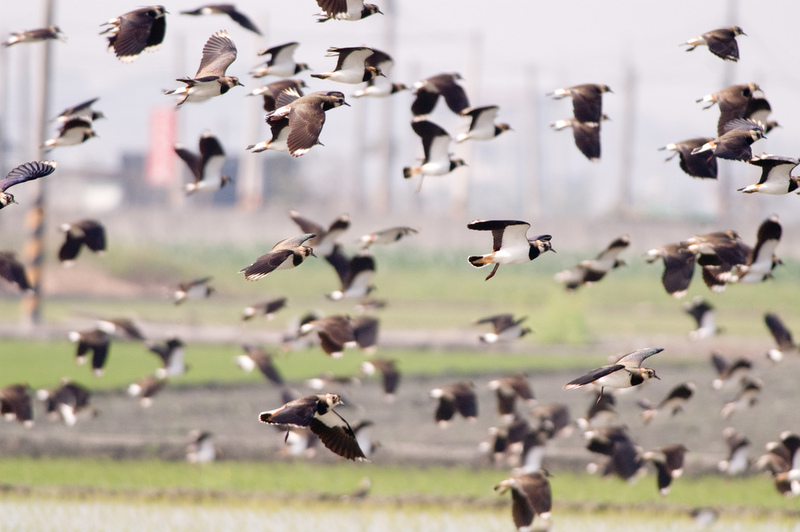 In Iran, the lapwing is hunted to be sold for food. I created Species of UK to share information about plant and animal species from the UK. I also run a twitter account @speciesofuk which tweets about a new species every week. All the posts are painstakingly researched by me and I try to provide sources for all the information, but any errors or omissions are entirely my fault!